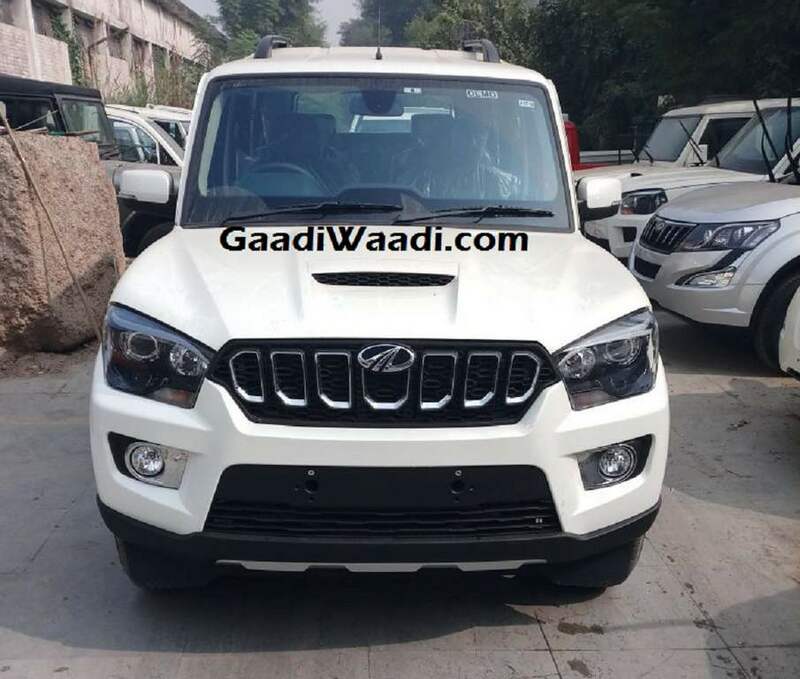 The Mahindra Scorpio facelift has been spotted without camouflage ahead of its launch next week. GaadiWaadi has shared images taken at what appears to be a dealer stockyard. The launch of the Mahindra Scorpio is scheduled to take place on November 14. This will be the current gen Scorpio's first major update since its launch back in September 2014. Up front, updates include a new grille with chrome lined 'teeth'. The air intake lower down gets vertical slats and is flanked by circular fog lamp units with chrome surrounds. The underbody protection visible towards the lower end of the bumper has also be reprofiled. Headlamps get a very minor change. The orange turn indicator glass has been replaced by clear lens glass. The Mahindra Scorpio facelift rides on new 5-spoke alloy wheels and gets ORVMs with integrated turn indicators. Changes made to the tail section are very minor. The tail lamps are not clear lens units anymore, and the tailgate styling is plainer. Also, The rear windshield wiper is now a beam-style unit. The number plate housing a more conventional this time around and is accompanied by a thick bar of chrome housing the Mahindra insignia. On the inside, the Mahindra Scorpio facelift gets darker leather seat upholstery. Although not visible in the images here, the SUV is expected to gain the XUV500's 7-inch touchscreen unit. The spec sheet of the Mahindra Scorpio will feature significant changes including higher power and torque outputs and a 6-speed manual gearbox instead of a 5-speed unit. 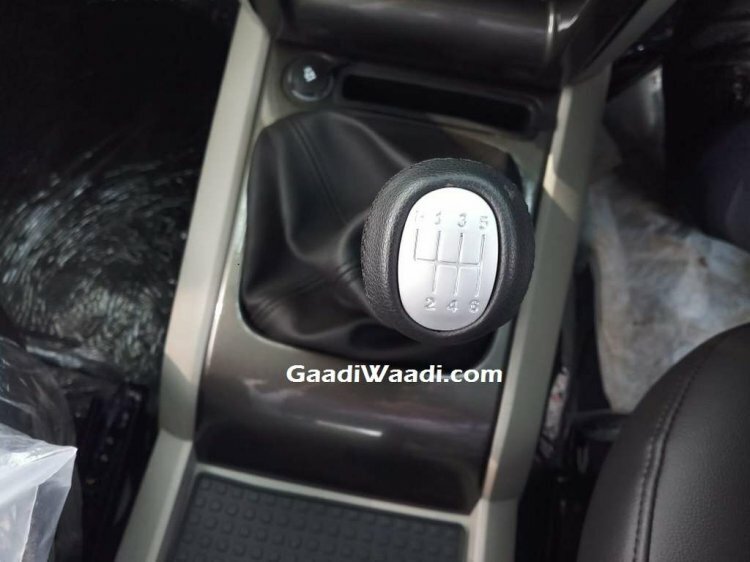 The image of the gear knob is evidence that the existing 5-speed manual transmission will be replaced by a 6-speed unit. Reports also indicate that there will automatic variants on offer as well armed with a 6-speed transmission. Power and torque outputs will go up by 20 hp and 50 Nm respectively to 140 hp and 330 Nm. Micro Hybrid badging on the tailgate indicates the Scorpio will continue to feature engine stop/start technology.